Can a technology bull revive the economy? 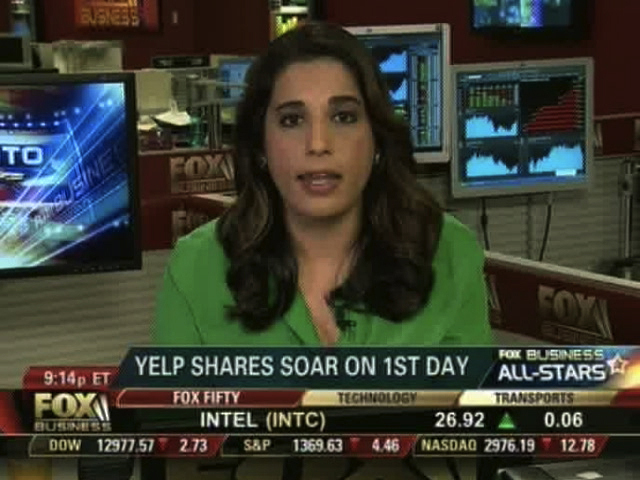 Yelp stock rises more than 60% in its first day of trading. As internet IPOs add excitement to the markets, investors speculate if a booming technology sector can revive economy at large. Monica Mehta, Fortune’s Adam Lashinsky and trader Jonathan Hoenig speak with Fox’s Neil Cavuto to discuss the day’s news making stories. This entry was posted in Fox Business, Uncategorized and tagged Adam Lashinsky Fortune, Fox Business, Neil Cavuto, Yelp IPO. Bookmark the permalink.